Mervyn King is a Senior Counsel and former Judge of the Supreme Court of South Africa. He is Professor Extraordinaire at the University of South Africa on Corporate Citizenship, Honorary Professor at the Universities of Pretoria and Cape Town and a Visiting Professor at Rhodes. He has an honorary Doctorate of Laws from the Universities of the Witwatersrand in South Africa and Leeds in the UK, an honorary Doctorate from Deakin University, Melbourne, Australia and a honorary Doctorate in Commerce from Stellenbosch University in South Africa, is Chair Emeritus of the King Committee on Corporate Governance in South Africa, which produced King I, II, III and IV, and Chair of the Good Law Foundation. He is Chair Emeritus of the International Integrated Reporting Council (IIRC) in London and of the Global Reporting Initiative in Amsterdam and a member of the Private Sector Advisory Group to the World Bank on Corporate Governance. He chaired the United Nations Committee of Eminent persons on Governance and Oversight and was President of the Advertising Standards Authority for 15 years and a member of the ICC Court of Arbitration in Paris for seven years. He is chair of the African Integrated Reporting Council and chair of the Integrated Reporting Committee of South Africa. He has received Lifetime Achievement Awards for promoting quality corporate governance globally from the ICGN, the Asian Centre for Corporate Governance, the Indian IOD and the Regenesys Business School. He is a fellow of the Royal Society of Arts and Commerce, honorary fellow of the Institute of Chartered Accountants of England and Wales; of the Institute of Internal Auditors of the UK; of the Chartered Institute of Management Accountants; of the Certified Public Accountants of Australia; of the Chartered Institute of Public Relations of the UK, of the Chartered Secretaries and Administrators and a Chartered Director of South Africa. He has been a chair, director and chief executive of several companies listed on the London, Luxembourg and Johannesburg Stock Exchanges. 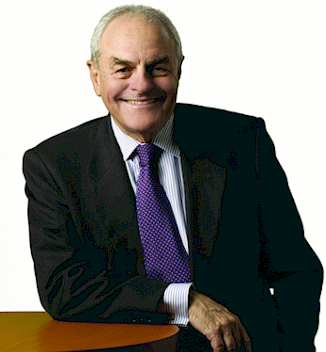 He has consulted, advised and spoken on legal, business, advertising, sustainability and corporate governance issues in over 60 countries and has received many awards from international bodies around the world including the World Federation of Stock Exchanges and the International Federation of Accountants. He sits as an arbitrator and mediator internationally.